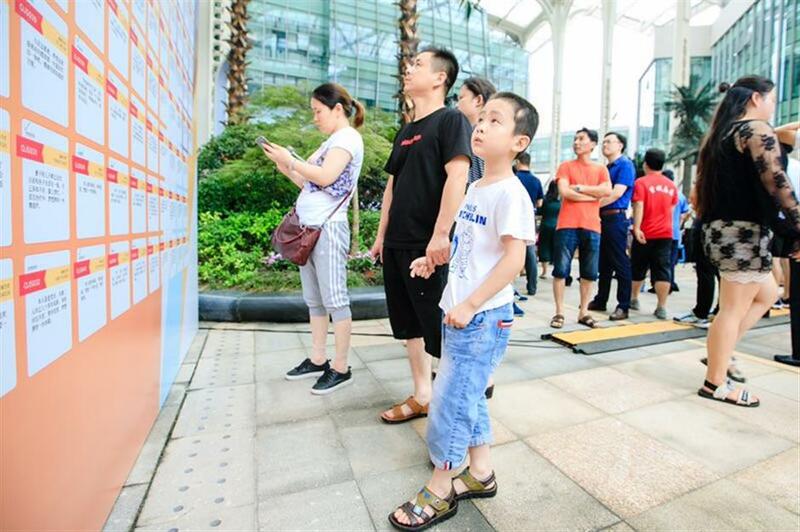 Residents check the difficulties and dreams publicized at the Dream Market launched in the outskirt Fengxian District on Sunday. Fengxian District launched its annual campaign on Sunday to encourage citizens help to realize the dreams of the less fortunate. The Dream Market campaign, which was initiated in 2016, encourages individuals, social organizations and enterprises within the southern outskirt district to offer their help and support. It is part of the district government’s poverty reduction campaign to create a generous and warm-hearted social atmosphere, the district government said. “More than 320,000 people who sought help during the campaign have made their dreams come true thanks to the involvement of others,” said Sheng Qunhua, director with the district’s spiritual civilization office. “Fengxian people has a long tradition to help others,” said Sheng. The name of the district literally means “to respect the nobility,” because early residents in the area offered help to an apprentice of Confucius. 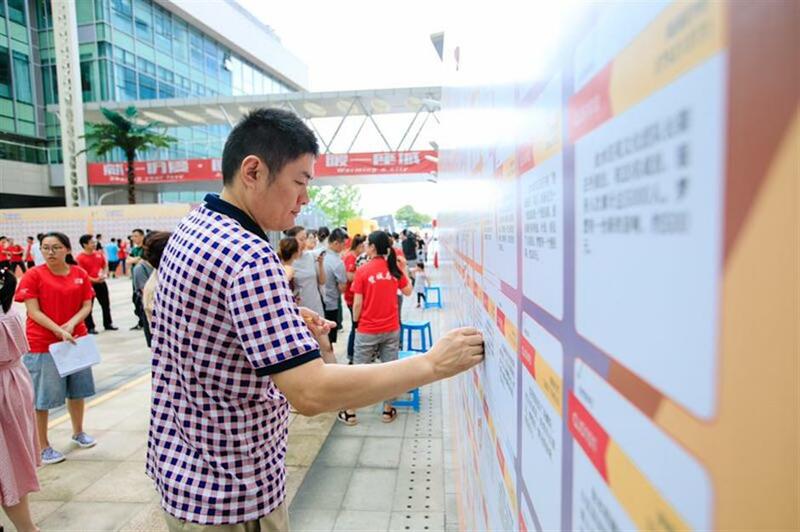 A resident in Fengxian District picks up a “dream” publicized by another citizen to help realize it at the Dream Market launched in the district on Sunday. For instance, Zhou Baocai, 80, an “intangible cultural heritage” master of the traditional paper-cutting skill of local Fengcheng Town, publicized his dream on the market to have a large-size bespoke table to finish a masterpiece, the paper-cutting copy of the “Along the River During Qingming Festival,” a famous panoramic scroll dating from the 11th or 12th century. A furniture store boss soon claimed his dream and promised to made a long wooden table for Zhou. “I’m willing to help master Zhou to complete the masterwork to promote the traditional local skill that is at risk of being vanished, as well as the traditional Chinese culture,” the helper said on Sunday. To better promote the campaign, the district government established 130 Dream Stations across its towns and subdistricts in May. Residents can publicize their difficulties or help others at the stations throughout the year, said Zhuang Mudi, the Party secretary of Fengxian. Over 1,000 helping projects have been collected at the stations, mainly on employment, agricultural problems, poverty reduction and cultural development. This entry was posted in Buisness, China, Good People, INTERNATIONAL and tagged Dream Market, Fegnxian, Shanghai. China. Bookmark the permalink.